The Montgomery County Park Police are shooting deer in Rock Creek park and elsewhere in MD, once again claiming there are "too many" of them in an area dominated by human overpopulation. 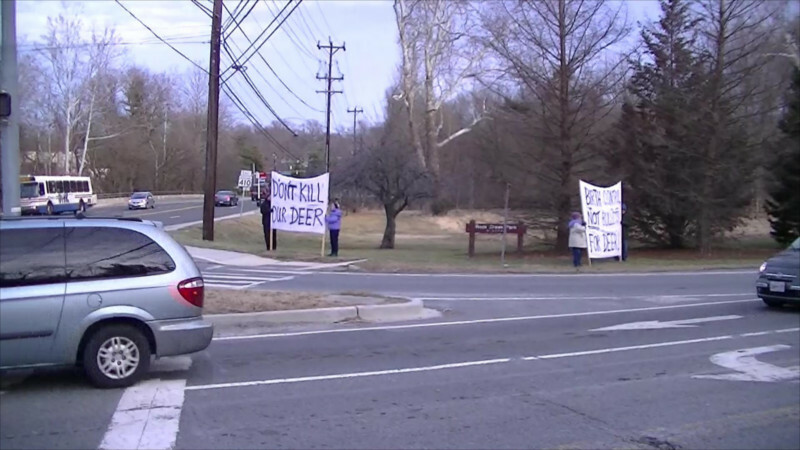 On the 6th of February area residents outraged by these "culls" showed up at the intersection of Beach Drive and MD rt 410 with banners denouncing the killing. 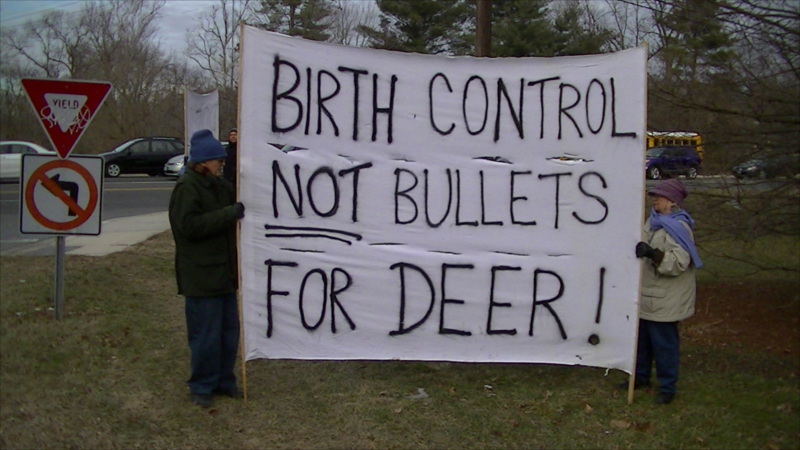 Many of the banners advocated "birth control instead of bullets," a population control measure sucessfully used in other areas that have decided they have too many deer. There is still the towering hypocrisy of humans, with about 7 billion people on the planet claiming any jurisdiction over whether or not any other species is overpopulated its native area. Unlike the invasive, non-native vines that are choking the life out of trees in Rock Creek Park, the deer were here before people were. 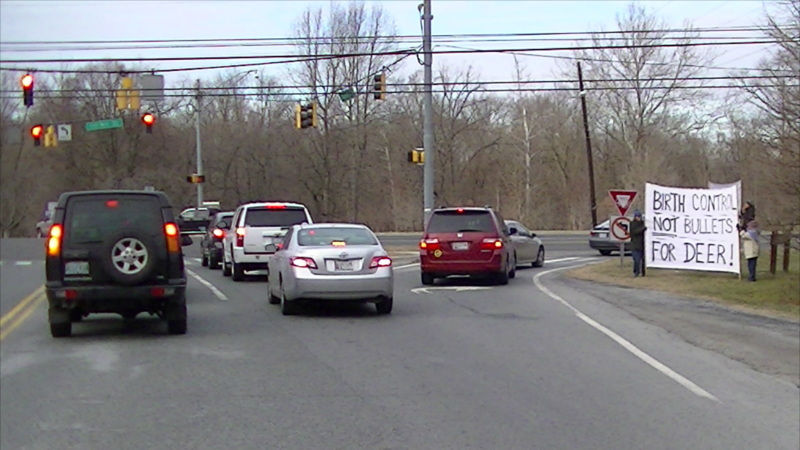 Many studies have found these invasive plants to be the number one threat to the park, above even car traffic. While tax money pays for deer "removal," removal of invasive plants in Rock Creek Park is limited to unpaid volunteer efforts. Perhaps Park Police and rangers consider shooting deer to be more entertaining that digging up invasive weeds and pulling vines off of trees?